Along with the blockchain fork, ZecWallet will also be forked to support Ycash, and official builds for all supported platforms will be provided. The nonprofit Ycash Foundation is in the process of being formed and will be the owner and steward of the Ycash trademark. Trademark registration is currently pending in the United States, with registrations in additional jurisdictions to follow. 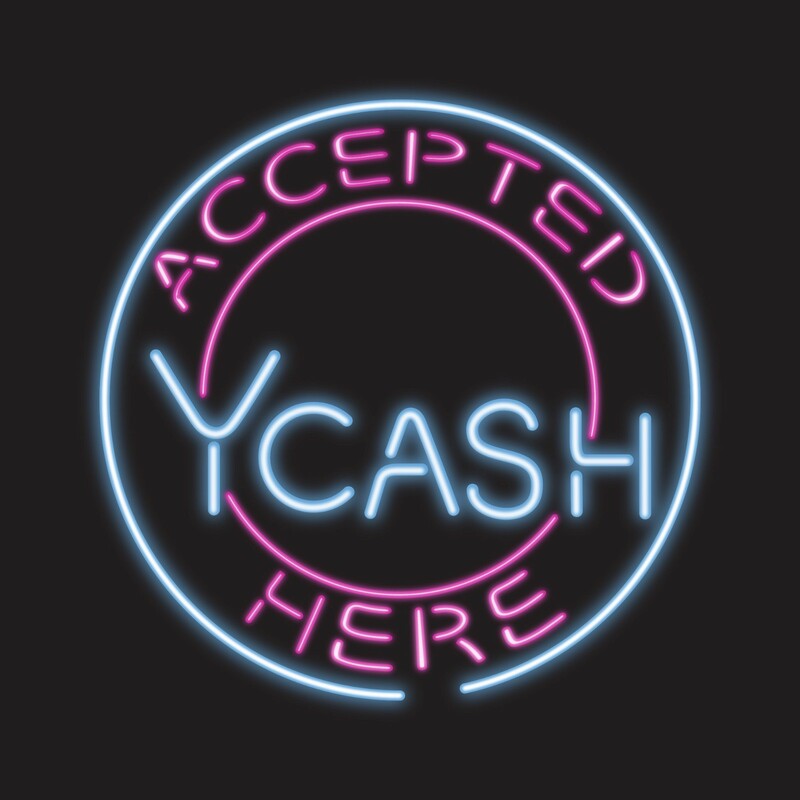 We are launching Ycash to restore a goal — mining on commodity hardware — that appears to have been largely abandoned on the Zcash blockchain. We are also launching Ycash to uphold a promise — that the Zcash Founders Reward would be forever capped at 2.1 million coins — that we fear will come under increasing pressure between now and the expiration of the Founders Reward in October 2020. We believe that both mining on commodity hardware and maintaining the promised cap on the Founders Reward are essential to a fair distribution of coins. In turn, we believe that a fair distribution of coins is essential to ultimately achieving widespread adoption. Ycash will reduce the Founders Reward rate from 20% to a perpetual 5%, which will exactly preserve the original 2.1 million coin cap on the Founders Reward. Ycash will direct the remaining Founders Reward in its entirety to a newly formed nonprofit named the Ycash Foundation. Going forward, Ycash plans to continually leverage the strengths of Zcash by incorporating most changes made to Zcash into Ycash as well, especially changes to the zero knowledge infrastructure. Only in areas where there is substantial disagreement with Zcash’s approach will Ycash diverge. Additionally, we hope that the Ycash Foundation will successfully fund the development of novel features in Ycash that will be candidates for inclusion into Zcash. Preserve the 21 million coin cap on the total Ycash money supply. Never differentially timelock coins, such that some coins are timelocked for a different time period than other coins. Keep transaction fees low by any means necessary, including increasing the block size limit or removing the limit completely. At launch, the total circulating supply of Zcash will be exactly 7 million ZEC, 20% (1.4 million ZEC) of which was initially allocated to the recipients of the Zcash Founders Reward. With 1.4 million ZEC out of the 2.1 million ZEC Founders Reward already vested, that means that the Ycash Development Fund will have a cap of 700,000 YEC, exactly one-third of the total Zcash Founders Reward. Because the YDF vesting rate is 5%, Ycash miners will always receive 95% of the Ycash block reward. At the time of the first block reward halving in October 2020, 175,000 YEC will have vested to the YDF. Between the first block reward halving in October 2020 and the next block reward halving approximately four years later, an additional 262,500 YEC will have vested to the YDF. At the time of the second block reward halving, there will still be 262,500 YEC unvested and destined for the YDF in the future. We hope that the work on Ycash funded by the YDF will also be beneficial to Zcash too. Immediately after launch, the recipients of the Zcash Founders Reward — including the Zcash Foundation — will hold significant amounts of Ycash (to the extent that those recipients still hold significant amounts of Zcash). We hope that this gives the Zcash Founders Reward recipients a vested interest in the future success of both Ycash and Zcash. We will be working hard the next few months to prepare for launch. Well before launch, you will be able to review and discuss the source code changes on Github. Once the changes have been implemented, a testnet will be provided. We will provide frequent updates on our progress, via the Zcash Community Forum and the @YcashFoundation Twitter account. We also invite you to join the discussion about this announcement on the Zcash Community Forum. Thank you for reading this announcement, and we hope that you consider supporting Ycash!